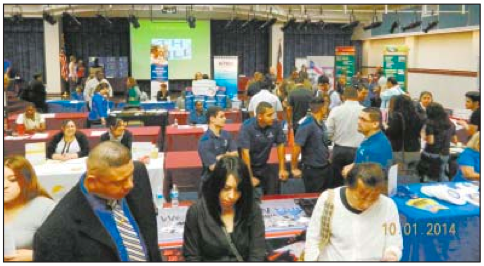 A WELL ATTENDED JOB FAIR was held Wednesday in the Monument Room of the Student Center at San Jacinto College North. Students looking for information or opportunities had about 50 exhibitor companies to talk to. 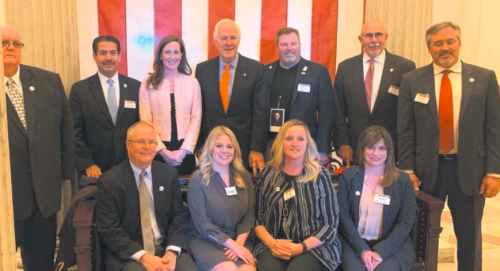 In the view above, recruiters from BMW, Texas DPS, placement services, communications companies, computer programmers, and healthcare fields were all present to meet with prospective students and answer questions about their companies.